All that sounds like rhetoric from the Tea Party or reform conservatives who assail what they call crony capitalism. Reform conservatives and Tea Partiers are moving...on the path toward clearing away impediments to growth. In his plummy prose, Trevor-Roper sought to explain why revolutions or revolts of varying sorts broke out in the British Isles, France, Spain, Italy and Germany in the years between 1640 and 1660. He was especially eager to refute Marxist historians’ claims that these were the necessary predicate to what their master proclaimed would be the inevitable and beneficent communist revolutions that unaccountably had not yet occurred. Trevor-Roper argues that the growing nation-states of the 1500s, engorged with New World silver and inflationary currencies, built up large bureaucracies that stifled trade and manufactures. The Counter-Reformation Catholic Church had a similar effect. These bureaucracies were particularly expensive because rulers gave their favorites “the right to exploit their fellow subjects,” with monopolies in particular commodities and grants of land they could profitably dispose of. Crony capitalism was squeezing out a potentially productive private sector. It's not hard to see some resemblance to America today. 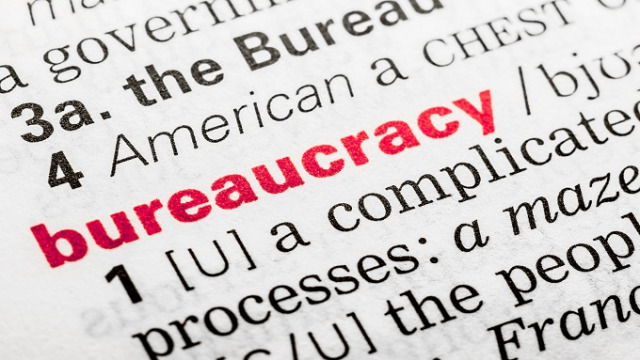 The federal bureaucracy head count is not significantly larger than it was 50 years ago. 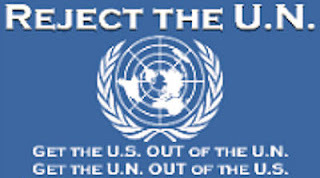 But the federal impact is much greater, through entitlement programs, subcontracted welfare provisions and regulation that favors entrenched interests. Thus the Dodd-Frank Act gives favored financial institutions too-big-to-fail status that enables them to muscle aside potential competitors. The Export-Import Bank provides special favors to a few giant corporations. But there are few loans to start-up businesses. Government subsidization of health care, even before Obamacare, and of higher education creates huge dysfunctional bureaucracies that vacuum up supposed benefits to patients and students. Agricultural subsidies and price-fixing, “green energy” programs, laws like the Jones Act and Davis-Bacon that restrict work to unionized firms — all siphon off money and resources from the productive private sector to politically well-positioned special interests. Trevor-Roper points out that princely states and the Counter-Reformation Church proliferated “hatcheries which turned out the superfluous bureaucrats,” as many colleges and universities do today. State and local governments, often the captives of public sector unions, pay higher-than-private-sector wages to bureaucrats and teachers and make pension promises that will burden the productive economy for generations. Seventeenth century European reformers had another model in mind, the prosperous Renaissance city-states of Italy and Flanders, many of which were squeezed out of business by nation-states. After 1660 the nation-states that pared back bureaucracies and allowed room for such trading cities to operate -- England, Holland and, for a while, France -- flourished, while Spain, Italy and Germany mostly languished. Americans today, thanks to our federal system, have models available too. Texas, with its low taxes and sensibly light regulation, has a booming multi-sector economy with high job creation. Fracking technology, on private lands not owned by the government, has increased oil and gas production far above levels government agencies and big corporations predicted. Some conservatives nostalgic for the Reagan revolution insist that the key to sparking private sector growth is cutting high tax rates. But rates aren't so high today, and crony capitalism, particularly since the 2008 financial crisis, has metastasized far beyond 1980s levels. The bipartisan coalition that has supported farm bills has broken down. Proposals to raise the gas tax to fund transportation are going nowhere. House Republican leaders are talking seriously about refusing to reauthorize the Export-Import Bank. Reform conservatives have called for measures to help struggling Americans without political connections work their way up. And last week, House Budget Chairman Paul Ryan unveiled a 73-page antipoverty agenda going beyond his previous tax cut and entitlement reform proposals. Michael Barone is a Resident Fellow, American Enterprise Institute where this article was first shared. He is also Senior Political Analyst, Washington Examiner and Contributor, Fox News. Tags: Michael Barone, fighting, parasitic bureaucracies, crony capitalism, American Enterprise Institute To share or post to your site, click on "Post Link". Please mention / link to the ARRA News Service. and "Like" Facebook Page - Thanks!